If you happened to stroll through campus during Homecoming Weekend — or any of the first 10 days of November, for that matter — you might have noticed some red and blue string wrapped around a naked tree. Or a fence. Or even a frat house column. He’s been wrapping and placing string around the world ever since — from the base of the Athenian Acropolis to the rocks of Malibu Beach. 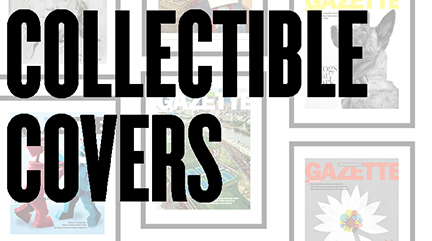 “I would leave these installations out for a few weeks at a time, photograph them and take them down,” Dimin says. In May of 2008, CVZ Contemporary art gallery in New York City showcased his string work in an exhibition. The show included branches covered with string and projected images of the string sculptures he had already created. Later that year, he was selected to participate in the Vienna Biennial, and wrapped part of the historic Wiener Künstlerhaus art museum in string. 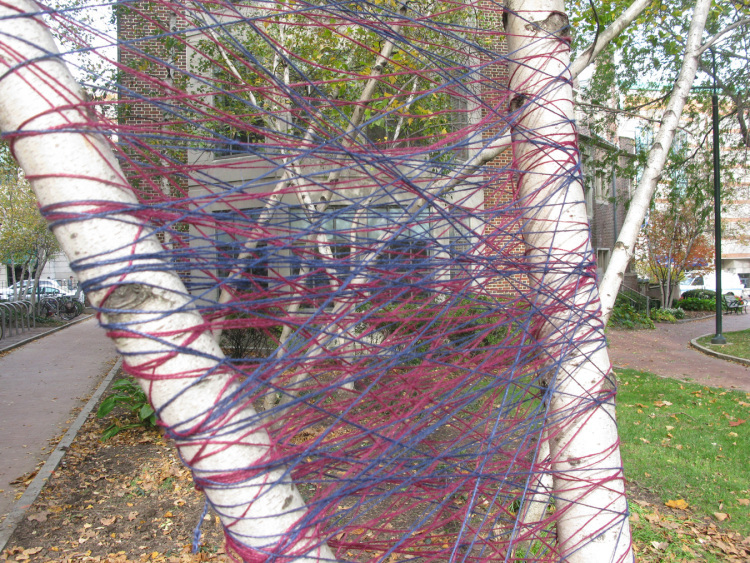 To create String Theory at Penn, Dimin traded his usual neon-pink twine for Quaker red and blue, using 30,000 feet of string to wrap permanent fixtures from the Fisher Fine Arts Library to the Kelly Writers House. Applications for the second round of Arts Year Grants — just one component of the University’s Arts & the City Year initiative — are due Feb. 1, and I look forward to seeing the next batch of arts-related projects that receive funding.